The HSA Dance College Preparatory Program (PREP) is a fully-funded scholarship program for students exhibiting exceptional skills and a palpable passion for dance. PREP is specifically designed for students, aged 12-17, who have expressed a compelling desire to pursue dance professionally. PREP students participate in a pre-determined curriculum (a minimum of 8 classes is required weekly) including invitation-only repertory workshops, performance opportunities, arts enrichment events, personal coaching and audition preparation for academic programs. The HSA Dance Academy, also ages 12-17, mirrors the PREP program with the same curriculum however, special workshops designed for college bound students are reserved for PREP students only. HSA Dance Academy is a reduced tuition program. Click here for more information. 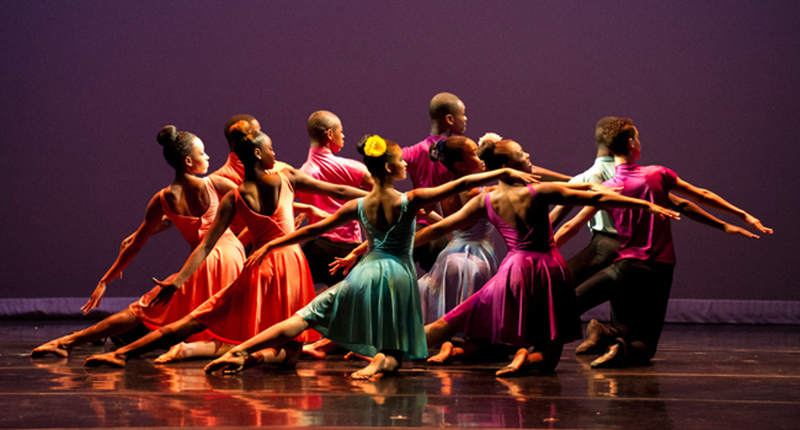 Select PREP and Academy students will be invited to join the HSA Dance Ensemble. Existing HSA Dance Prep students do NOT need to audition but must fill out the online registration form to be considered. They will be assessed by faculty and the director. New students must audition but only need to attend one of the following auditions. No preparation is needed. Just come in ballet dance clothing and fill out registration form at front desk. Ages 8-11 please click here for the reduced tuition program, HSA Dance Academy. The shining star of HSA Dance is the HSA Dance Ensemble, a performance ensemble featuring students from the HSA Dance College Preparatory Program (PREP) and HSA Dance Academy. Members of the HSA Dance Ensemble are offered invitation-only repertory workshops, numerous performance opportunities, arts enrichment events, personal coaching and audition preparation for academic programs.